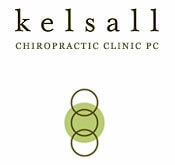 Kelsall Chiropractic Clinic is located in a historic Victorian on NW 23rd Avenue between Raleigh and Savier, and across the street from the St. Jacks Restaurant. Our street address is 1615 NW 23rd Avenue, Suite 2, Portland, Oregon 97210. Three parking spaces are available at the rear of the building for patient use. On the rare occasion the spots are taken, street parking is easily found.